I’ve always rather liked ducks, ever since we hand-reared some ducklings back when I was still a school-kid. Mind you, the innocent me of those days didn’t know what I know now about the effects of sperm competition and sexual selection on their reproductive organs. (Those of an enquiring mind will learn more – much more! – in this excellent piece by Ed Yong.) I liked them enough to make mallard behaviour the focus of my Honours dissertation, before moving on to swans. The paper is based on a large sequencing exercise: the team carried out whole-genome resequencingA of 40 wild mallards, 36 ducks from 12 different indigenous domesticated breeds in Southern China, and 30 Pekin ducks from three separate populations, plus another 1026 individuals produced by crossing mallards and Pekin ducks. It seems that in China there were two phases of artificial selection during duck domestication. The first saw the development of the various indigenous domestic breeds, and the second, the specific development of Pekin ducks. There appears to have been a genetic bottleneck at the point where that breed first formed, followed by either quite a bit of genetic drift, or else artificial selection targeting those desirable white feathers and large bodies. 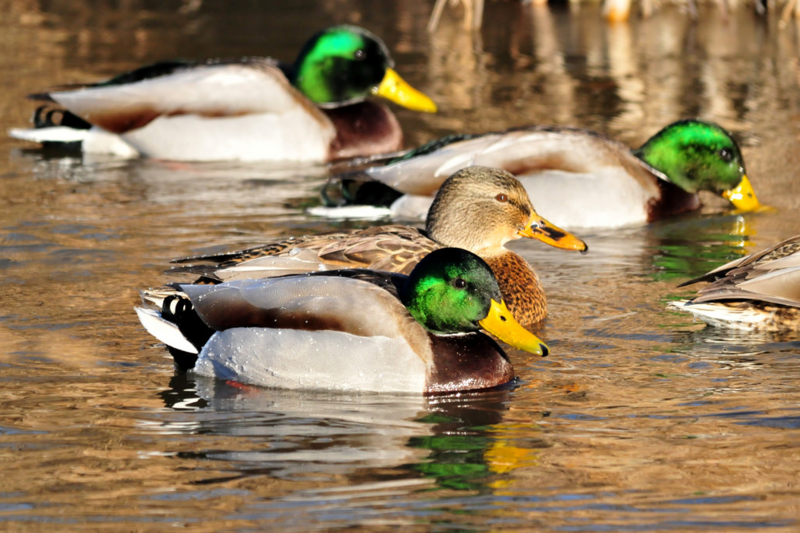 The researchers identified 45 ‘candidate divergent regions’ (CDRs) on the ducks’ chromosomes that appear to be related to domestication, some of which were ‘markers’ for various genes. For example, two CDRs were closely associated with genes involved in reproduction and nervous system activity: bear in mind that the behaviour of domesticated animals differs from that of their wild brethren. One CDR was used to identify a gene (MITF) involved in the production of melanin. Mutations in this gene result in a loss of pigment, apparently by down-regulating the activity of all other genes downstream of it in the melanin-producing metabolic pathway. Further genomic work led the team to decide that a mutation in MITF is the underlying cause of the striking white plumage of Pekin ducks, one that would have been strongly selected for once it appeared as the down, in particular, is much valued for quilts and padded clothing. And other CDRs appeared to be associated with a part of the genome linked to body size – traits such as the weight of various body parts & of the body as a whole. Additional genomic work traced this to a ‘growth factor’ gene (IGF2BP1) that’s “consistently expressed in Pekin ducks but … barely expressed in mallards” from hatching to at least 8 weeks of age. 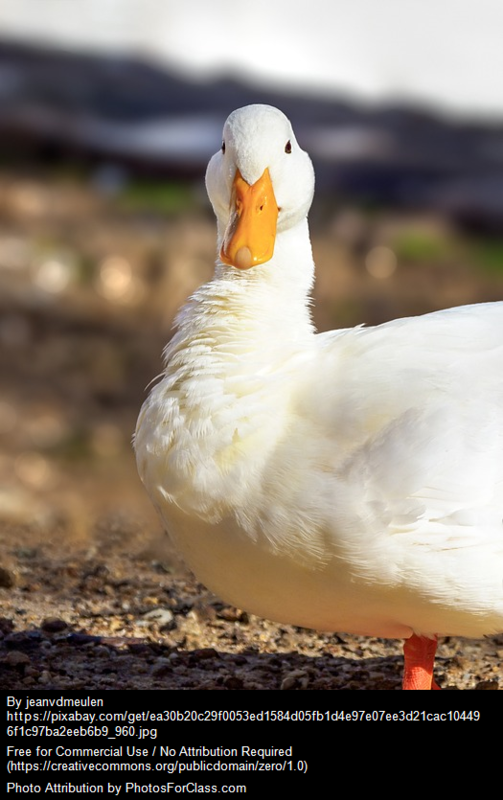 And feeding studies suggested that the Pekin duck form of IGF2BP1 affected both the feed intake of the birds and the efficiency with which they converted food to body mass, resulting in their bigger body size. consistent postnatal expression of IGF1BPa in other animals may also enlarge their body size. Therefore, IGF2BP1 is a strong performance target for meat production … in animals. And from an evolutionary point of view, it’s notable how quickly these genetically-controlled traits – white plumage and larger body size – became fixed by artificial selection in just over 2,500 years of duck domestication. A This technique’s also been used in a recently-published study on domestication of cattle in East Asia. Z.Zhou, M.Li, H.Cheng, W.Fan, Z.Yuan, Q.Gao, Y.Xu, Z.Guo, Y.Zhang, J.Hu, H.Liu, D.Liu, W.Chen, Z.Zheng, Y.Jiang, Z.Wen, Y.Liu, H.Chen, M.Xie, Q.Zheng, W.Huang, W.Wang, S.Hou & Y.Jiang (2018) An intercross population study reveals genes associated with body size and plumage colour in ducks. Nature Communications.